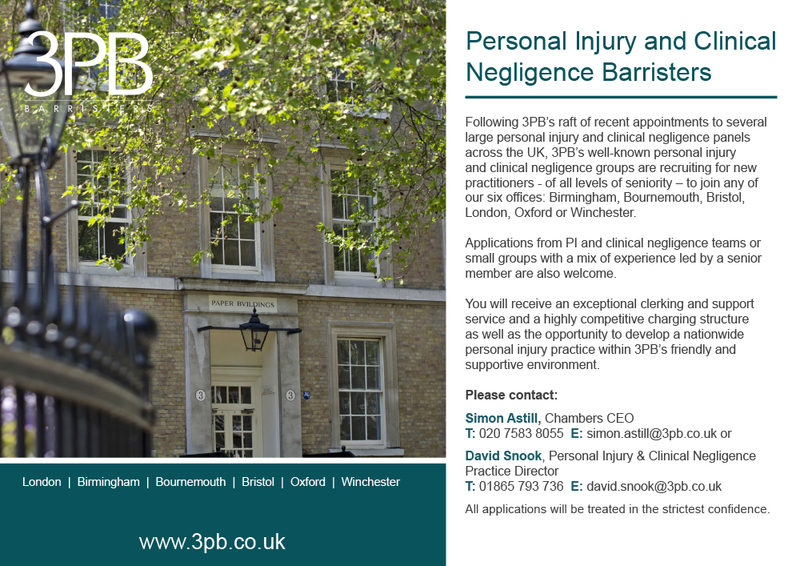 At 3PB, we provide a first class advocacy and legal service to a wide range of clients, both in the UK and abroad. 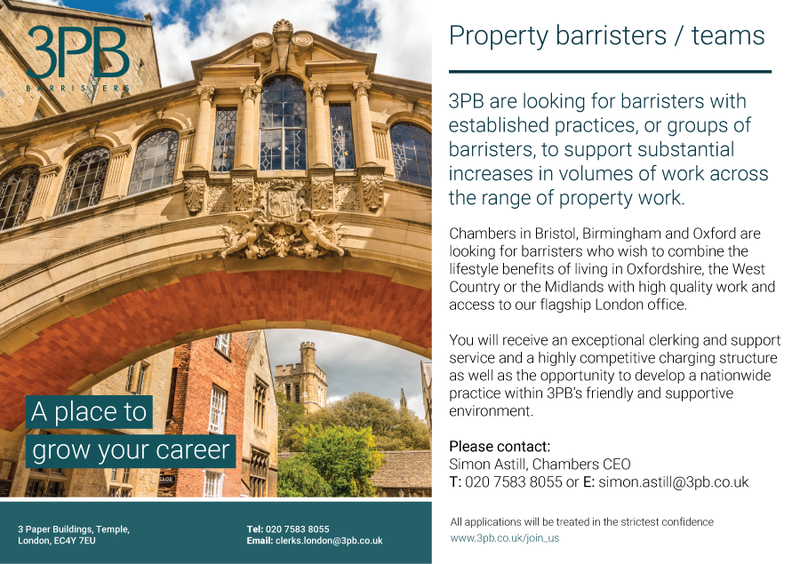 Our barristers are recognised as experts in their areas of law, many sitting as part time judges and on professional disciplinary bodies, and our clients include firms of solicitors, commercial organisations, the CPS, government departments, local authorities and individuals. 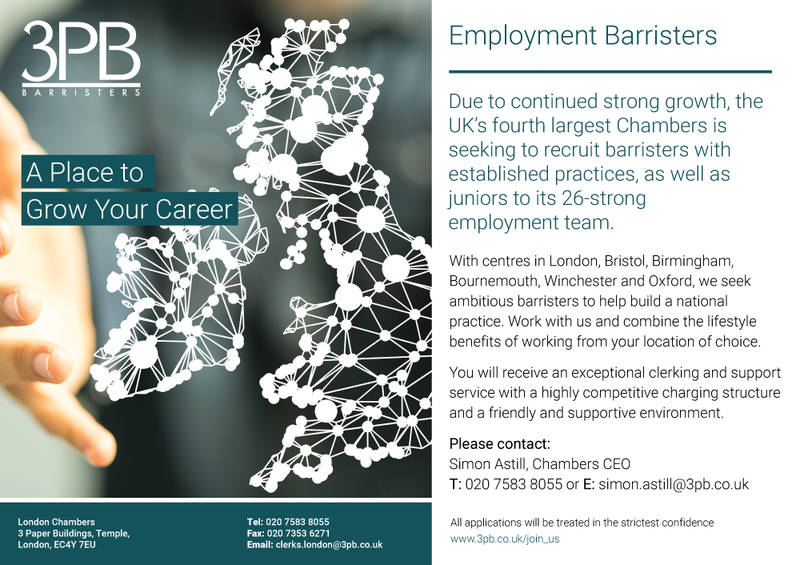 With 11 QCs and 185 Juniors working across a broad spectrum of legal specialisms, our clients can expect the most appropriate level of advice and representation for their specific issue. 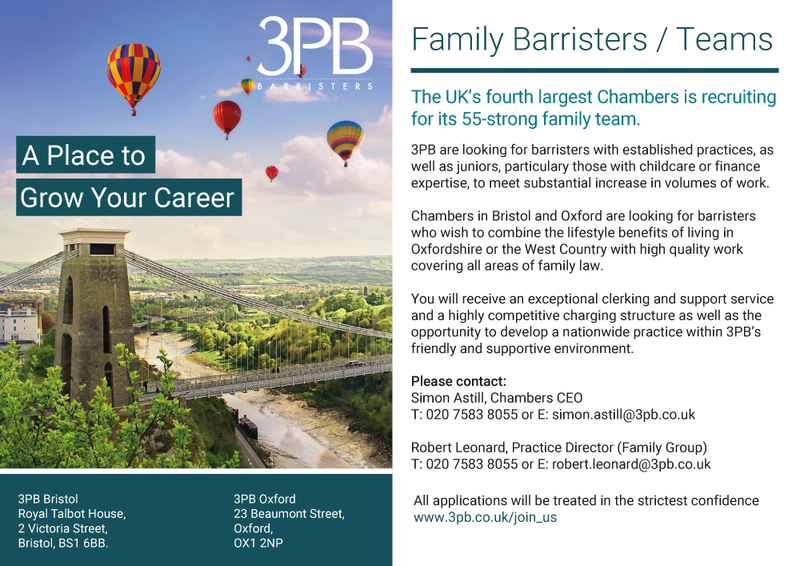 To maintain our good reputation for high-quality legal advice – and to meet our ambitions for growth – we welcome opportunities to speak to potential new members at any time. 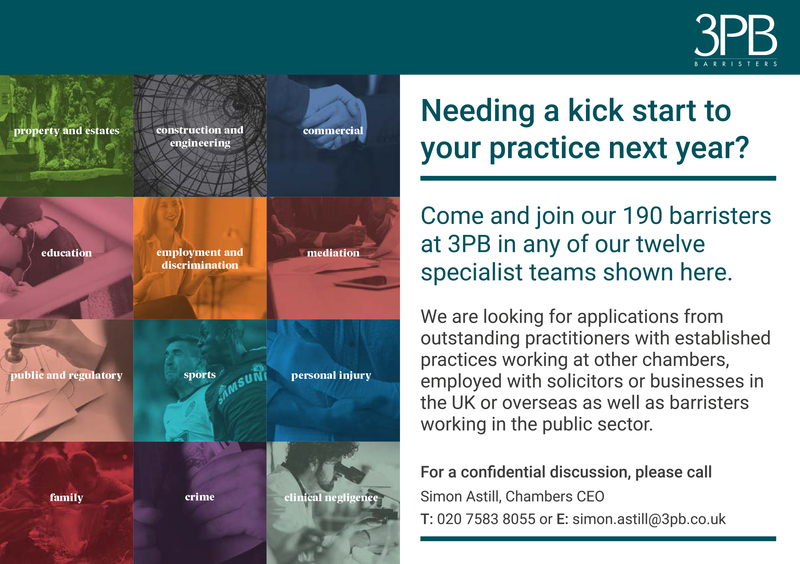 Please contact Chief Executive by email or on 020 7583 8055 for an informal initial discussion in confidence. Click here to download our tenancy application form. 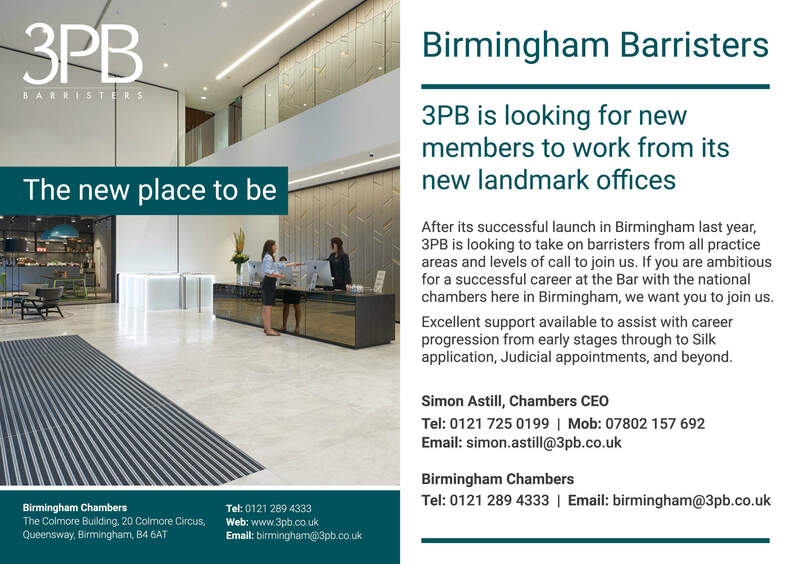 Prospective new members should either contact Simon Astill or complete and return the tenancy application form which can be downloaded below. 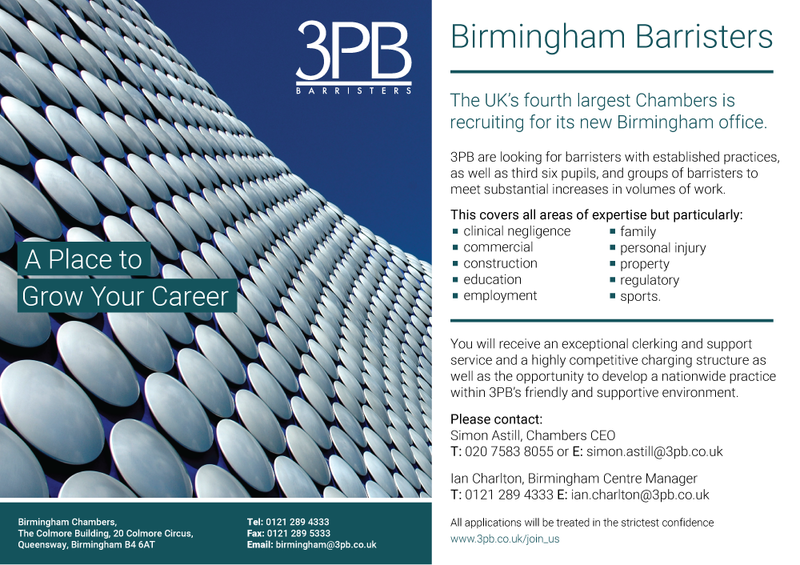 3PB is an equal opportunities employer and welcomes applications from all suitably qualified and experienced candidates. 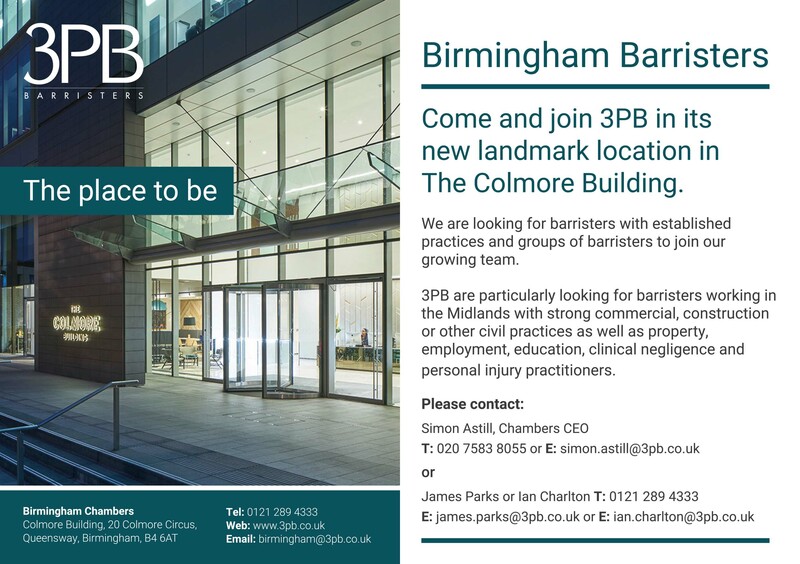 Please see our Equality and Diversity policy for further information.